So, it is February, and I have set the goal of producing 28 paintings this month. I have gone through photo boxes and chosen photos that I love, that catch my eye, that say "paint me!" Now, I am not allowed to say to myself "that is too hard", or "I can't paint the ocean, or I am no good at painting landscapes, or I can only paint animals and horses....", In short, no excuses, if it speaks to me I will come up with a plan, a composition, color palette, decide watercolor or acrylic and I will give it a go. No promises on how they will turn out, I don't like to share the ones that I don't like, but I must share 28 this month, so if there is one I hate, I may have to come up with another... or share the dreaded one! I will try to push my boundaries, try new things, new colors, new brushes...but I will warn you, I am not that adventurous...but I will try! 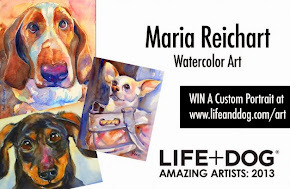 I hope that by trying new things and having a schedule, I will push myself to try something different and develop a painting routine and plan for my pictures. I hope to get over the procrastination when I get in a rough spot and push through, I hope to learn to paint even when my kids are home on an ice day, and want me to make pancakes, or take them to ride the horse or to Best Buy....or when hubby is home early and wants to get lunch....(unless meatball subs are involved....then all bets are off!). After February, I may go back to my previous style and routine, but maybe not! Let's just see where this road takes us! So, to all my followers, encouragement is welcomed and needed and any tips on technique, composition, color would be so appreciated! General likes and dislikes are requested!! Hope to make the month of February a turning point, for something new and exciting! 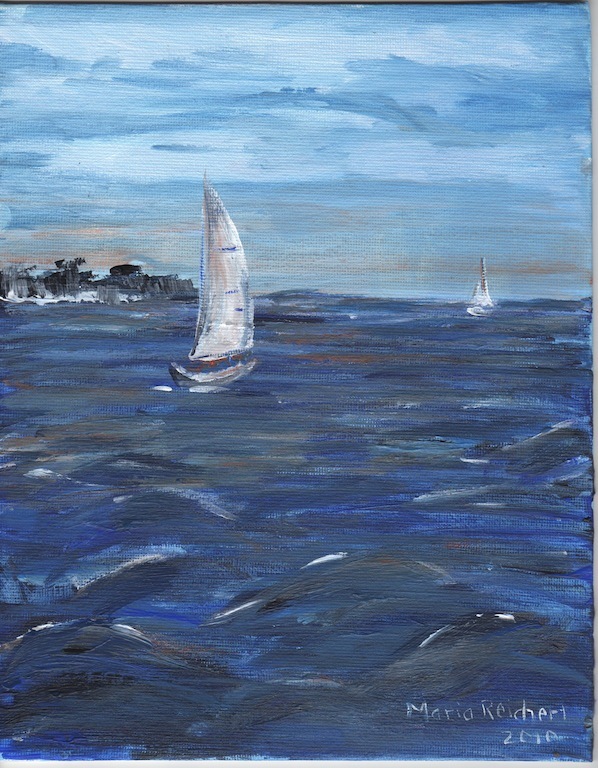 Oh, and this is number 1, an 8 by 10 acrylic on canvas board, sailboat on the horizon, Like the boat and sky but the water is weak, I wanted my watercolors when I got in the water, not sure how to make the acrylics do what I wanted, but I tried! Maria, I think your goals are admirable. Your enthusiasm and commitment will take you far...beautiful way to start! Thanks Dana, we will see how enthusiastic I am come February 28th! but truly your oil paintings are inspiration for me to try more outside of watercolor, I love your style of painting. Hmmmm.....I could have sworn I posted a comment on this. Maybe I forgot to hit "post comment". Anyways, I had commented on how I think this is a great piece because of the contrast between the dark water and the lighter sky. I think it definitely works! A great piece to begin your challenge! Diana, thanks for your encouragement, I feel a little excited about painting that much, we will see how it goes!! Hi Gretchen, I am hoping we will have electricity for the second day of our challenge as the freezing rain is falling, our lights are flickering! I also like the contrast of the sky and the water on this but I think my composition needed something in the foreground.....I will think on it. Love your marigolds, especially the glass holding them, very cool. On to day two!